Traditional forms of comfort food often don’t accommodate a vegetarian or vegan diet. At @cbdsuperfood we find creative ways to recreate your favorite comfort foods in vegan and vegetarian form! This batch of @annieshomegrowntomato soup (into which we’ve stirred in our CBD Superfood coconut oil!) is accompanied by some delicious vegan grilled cheese! We can’t get enough of the smoked gouda vegan cheese from @followyourheart — it’s melty, flavorful, and tastes just as good as a traditional grilled cheese! 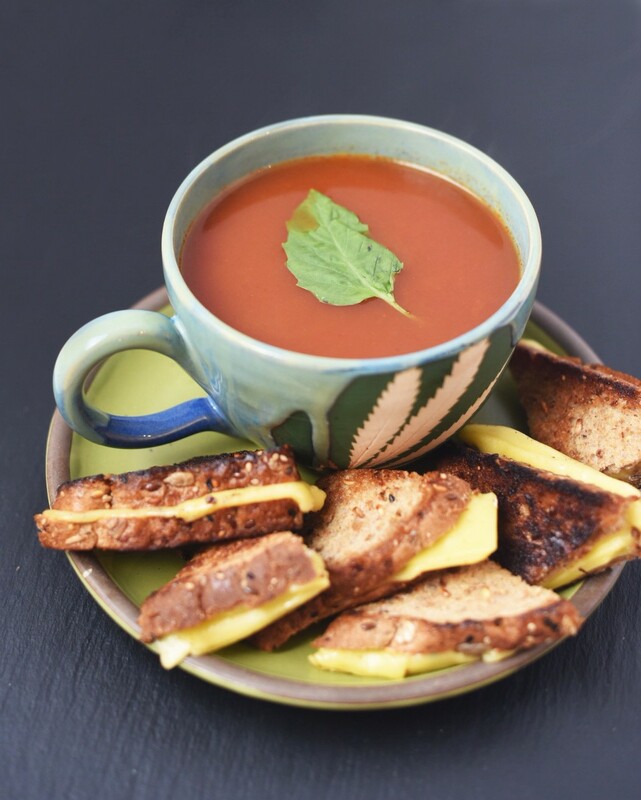 Dip a triangle into your tomato soup and savor the salty goodness. We hope you’ll enjoy this collaborative blend of flavor and comfort as much as we do! In a small or medium pot, heat tomato soup on medium low heat. Add coconut cream for additional creaminess. While soup is heating up, heat a cast iron pan on the stove. Add olive oil to the pan, and add two pieces of bread. Lay 2 slices of vegan gouda cheese on each piece of bread. Top with another piece of bread. Grill sandwich on both sides until bread is browned and crispy and cheese melts. Remove soup from heat and stir in CBD Superfood Coconut Oil. Pour into bowls, sprinkle with chopped basil, and enjoy!